Dr. Jan Veldhuis spent a year at the University of Minnesota as a Fulbright Scholar studying history from 1967 to 1968. The year did much to define his future career, and he continued to consult with University faculty and return to the Twin Cities with Dutch university faculty throughout his career. 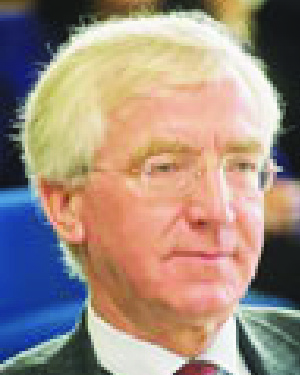 He also served for 18 years as the chair of the Fulbright Commission of the Netherlands. In this capacity, he made significant contributions to U.S.-Dutch policy in the field of education. Dr. Veldhuis served as president of Utrecht University from 1986 until his retirement in 2003. This was the longest tenure for any Utrecht president in modern times. During his tenure he gave Utrecht an international vision that has led to it being a key player among European and international higher educational institutions. Under his leadership, Utrecht also adopted new educational models, including the founding of Utrecht University College, which was the first English-language, four-year liberal arts institution in the Netherlands. On his return to the Netherlands following his year in Minnesota, Dr. Veldhuis worked at the Directorate-General for European Economic Cooperation in the Ministry of Foreign Affairs and subsequently became the deputy secretary-general of the Ministry of Education and Science. From 1979 to 1986, he served as director-general of the Ministry of Education and Science and inspector-general of education. In addition to his distinguished professional career on both national and international levels, Dr. Veldhuis has always been very active in serving on policy committees, human rights forums, and in helping to promote the city of The Hague as a United Nations City of Peace and Justice. Today, in retirement, he remains extremely active and is currently vice president of NUFFIC, a prestigious Dutch international education association. In naming Dr. Veldhuis a recipient of the Distinguished Leadership Award for Internationals, the selection committee took particular note of Dr. Veldhuis's lifelong commitment to "public service ... and his major contributions as a policymaker in the field of education and science."